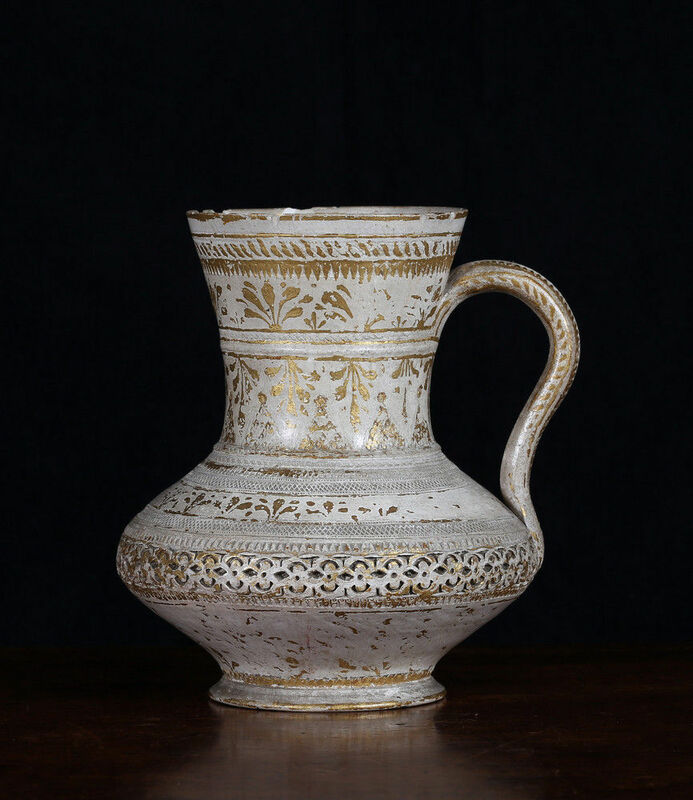 Thrown in pale buff earthenware with a compressed globular body beneath a flaring neck with S-shaped handle. The interior with the remains of a filter inset in the neck and moulded under the foot with a rosette. The body is carved and impressed with geometric and floral ornament in horizontal bands, partly burnished and highlighted in gold. A Particular clay from the Aegean island of Lemnos has been valued since antiquity for its medicinal qualities. Pliny regarded it highly. It was considered an effective antidote to poisons, snakes bites and useful in treating fevers and the plague. It could be eaten or applied to the skin. Its excavation was restricted to an elaborate ceremony on just one day a year, and the Greek physician Galen of Pergamon is recorded to have witnessed it in 166AD. Around 1480, the ceremony was revived by the Ottoman Sultan Mehmed the Conqueror, after he was made aware of the healing properties of the clay. The ceremony continued to take place for the next 400 years on the 6th August, attended by Greek clerics and Muslim scholars. After religious observances, a procession lead to near the top of a hill where for six hours they were allowed to excavate the clay. The threat of capital punishment hung over anyone attempting to do this outside of these observances. 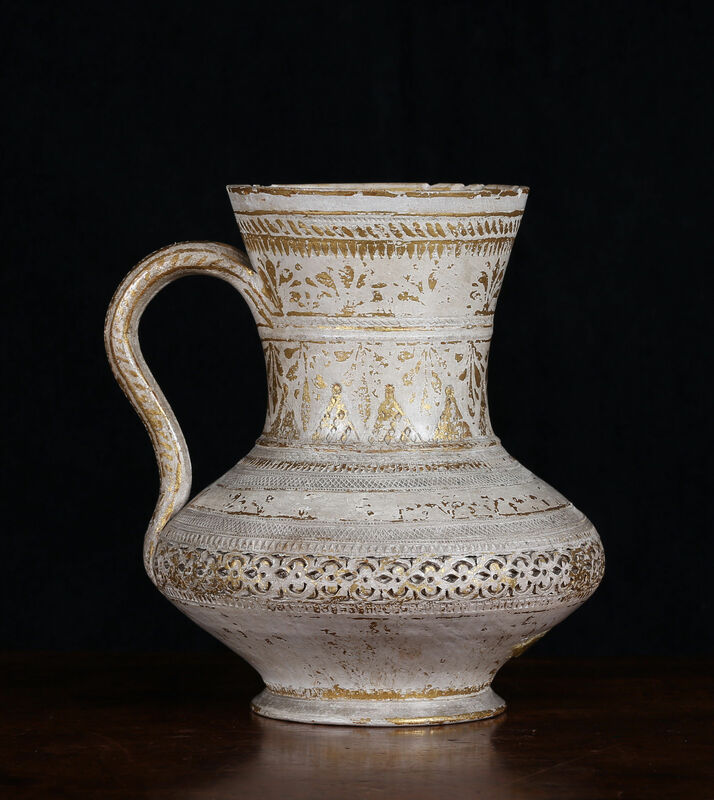 Some of the clay was sent to the Saray where the Sultan had small quantities grated onto his food, and vessels made of the clay were said to be more expensive than Chinese porcelain. Numerous accounts by European and Ottoman travellers mention the ceremony. In the late 1540s the French naturalist Pierre Belon visited the island to investigate the clay and described it in his account as Terra Lemnia. Some time, between 1562 and 1565 Stefano Albarico was also sent to the island to investigate the clay by the Hapsburg ambassador, Ogier Ghislain de Busbecq. The clay was often given as a diplomatic gift, and examples of its wares are recorded in many of the great European cabinets of curiosities. The physician of the embassy to Constantinople sent by Rudolf II, Reinhold Lubenau, was offered some Terra Lemnia when their galley stopped at Lemnos in September 1587 and one of the earliest records of a Terra Lemnia vessel in a European collection is from the Wunderkammer of Rudolf II. Examples can also be found in the Basilius Besler of Nuremberg, The Royal Society, London, Ferdinado Cospi of Bologna, Olaus Worms and the Danish Museum Regium. An example in the Biblioteca Ambrosiana, Milan, from the collection of Manfredo Settala and is recorded in the first printed catalogue of his collection in 1664. The sultan is also known to have given some to the Doge of Venice in 1574. A kiln was recorded on Lemnos in 1582 but it is unclear if the finer vessels where ever made there or if they were made from Lemnos clay exported to the potters in the Golden Horn. 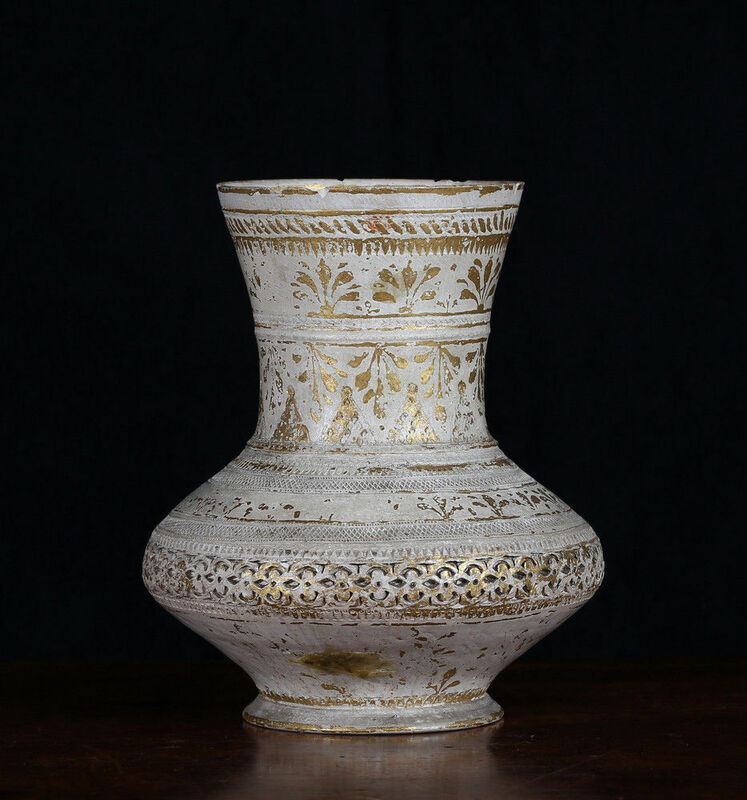 Vessels of this type were collected by the British Museum and the Victoria and Albert museum in the 19th century. One of the British Museum specimens was published by R. L. Hobson as ‘Scicilian ware, 17th Century’ on the grounds that all the specimens in the BM were said to have been found there. 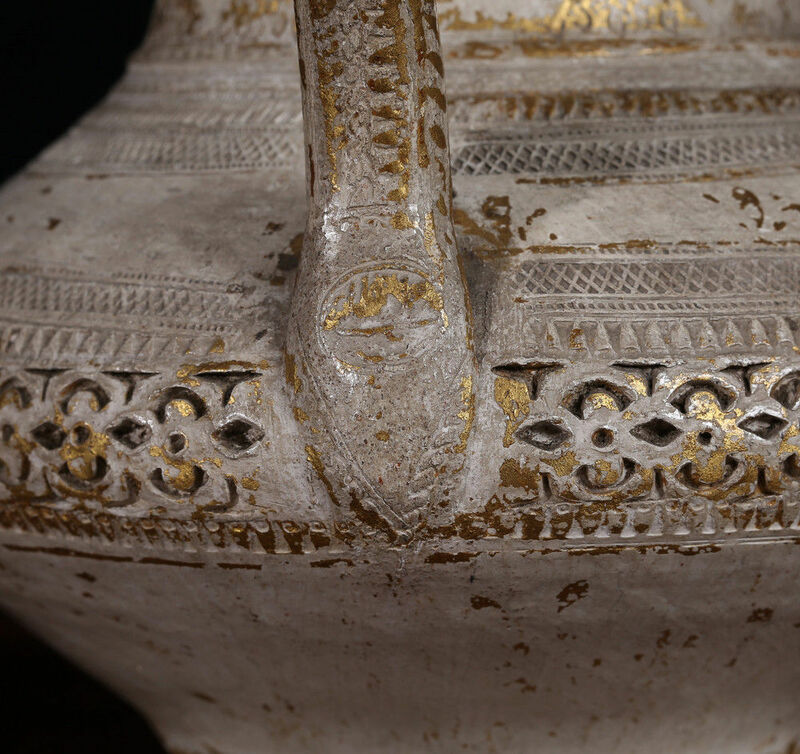 A group of such vessels bought by the V&A were described as ‘Siculo-Moorish’. Julian Raby has published the most detailed study of the subject in Lemnia and the Potteries of the Golden Horn: An Antique Revival under Ottoman Auspices (1995). Raby divides the examples in the BM and V&A into three main stylistic groups. 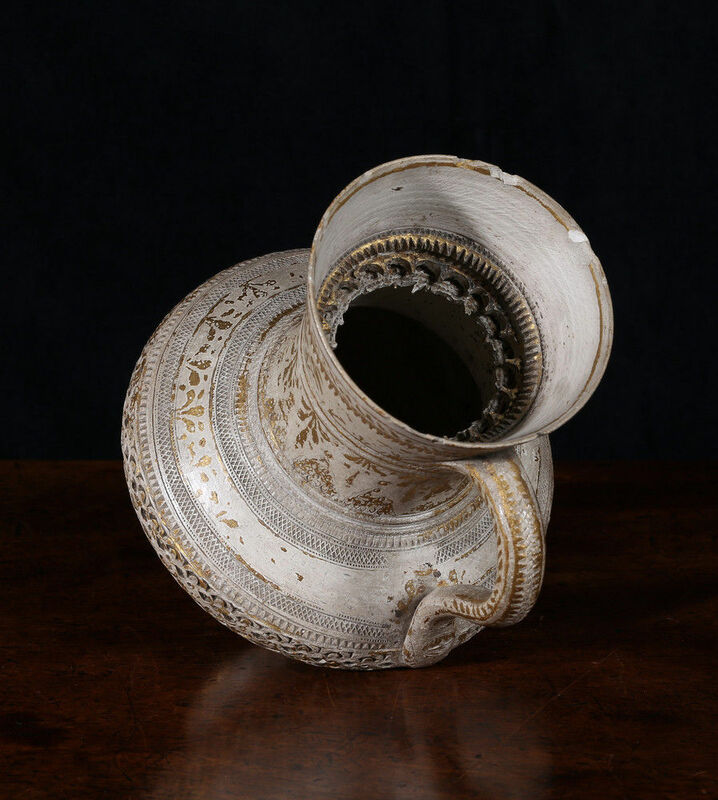 He states that the evidence of the shapes suggests a date for some of the late 16th or early 17th centuries, one example having a filter pierced with a date of 1106 or 1694-95 AD. Production of these wares continued into the 19th century. The closest example in form and decoration to ours is one preserved in the Vienna Kunstkammer dating to the 16th century and is presumably one of those collected by Rudolf II. 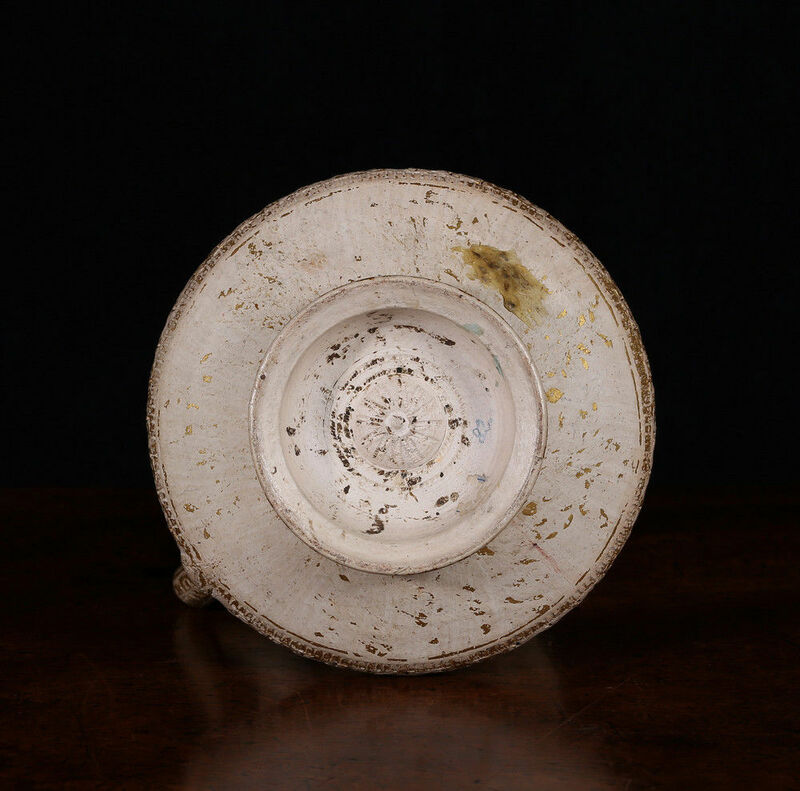 Condition – Chips to rim and losses to the internal filter, losses to gilding.